This beats many a collector’s dream. I am not sure whether to thank the collector, to envy him, or what. We accepted a friend’s invitation to spend the weekend in Pilar, Bataan and prepared ourselves for a somewhat dull weekend visiting the local market, Mt. 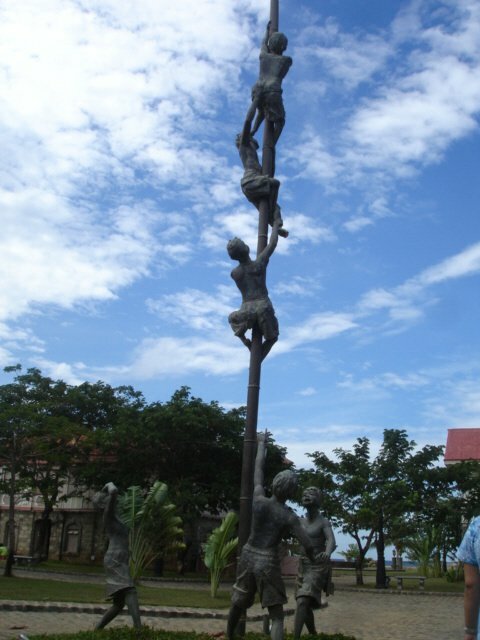 Samat War Memorial Shrine in Pilar, Bataan, and enjoying fresh fruits in season. “Ciudad de Acuzar” was not part of our itinerary. Neither have we even heard of this heritage town where the owner’s collections included many historical turn of the century houses, town hall, school and chapel! The drive northwest of Manila via an expressway and paved roads took more than 3 hours. 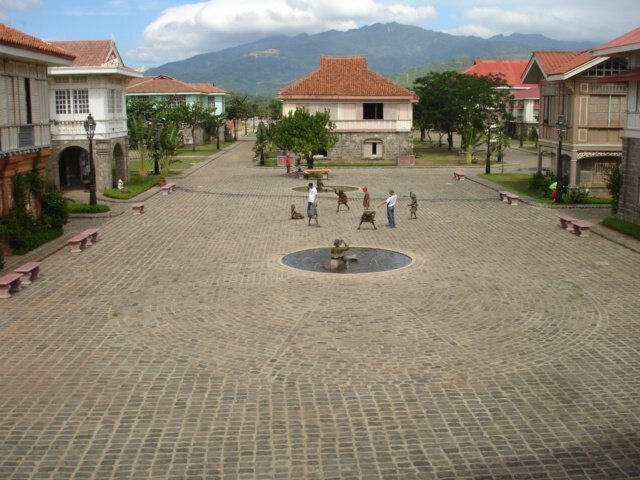 Pilar is a sleepy town in Bataan. Right beside a ricefield with a view of Mt. Samat, our host’s house promised a lot of rest , peace and quiet. History lessons reminded us of the annual celebration of the “Fall of Bataan” in 1942. Every April 9, which was declared a public holiday, we remember our fallen brothers who gallantly defended our land. The Shrine on Mt. Samat was built in loving memory of these brave Filipino and American soldiers who died during World War II. Along with the Fall of Bataan, this province also reminds us of the famous Death March from Bagac and Mariveles, Bataan all the way to Capas, Tarlac. 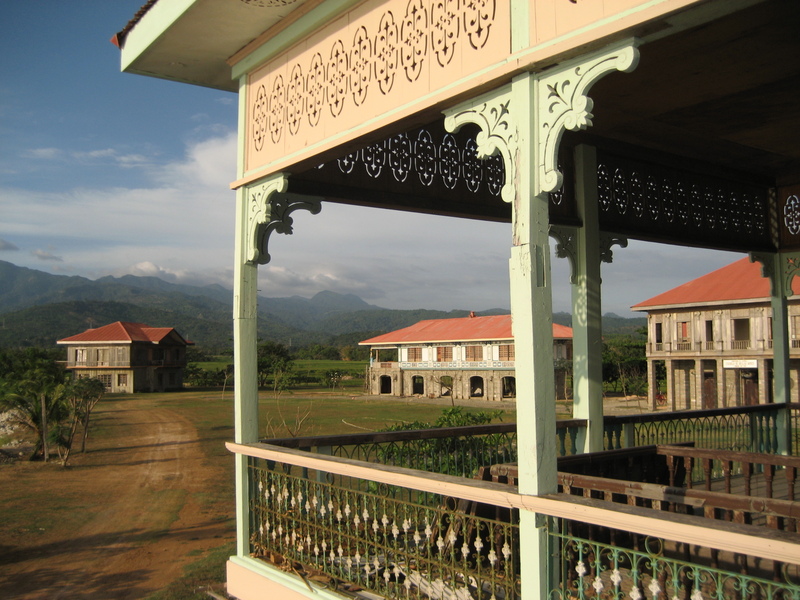 Rich in history, it was ironic that what we remember most from our Bataan weekend would be the “heritage town” put up by a local land developer in Bagac, Bataan. 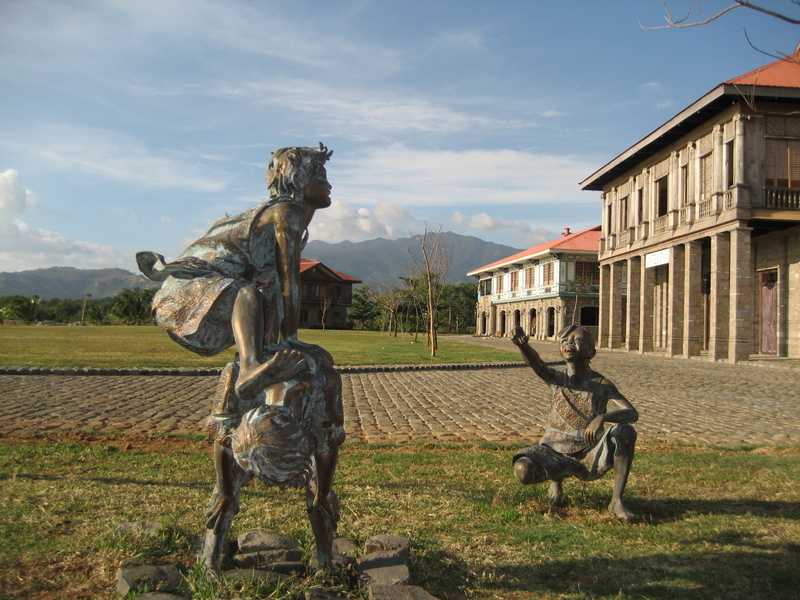 Uprooted from various areas within the country were a small chapel, the entire turn of the century school building, and many ancestral houses to form part of the new “old town” representing Mr. Acuzar’s collections. This development inevitably invited many critics to scream foul, asserting that these historical landmarks are best left and preserved wherever they were. So much furor for the transfer of all these heritage structures to satisfy one man’s dream collection! At the same time, there were also those who hail the transfer of all these ancestral and historical structures to one area with a good promise that the owner/collector will preserve the structures. 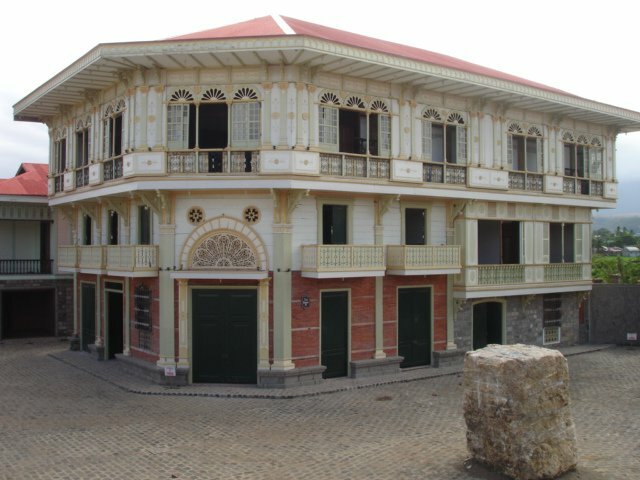 Though a private collection and property, “Ciudad de Acuzar” is bound to attract a lot of attention, and likely curious visitors. By the way, at the time I visited, the place is not open to the public. 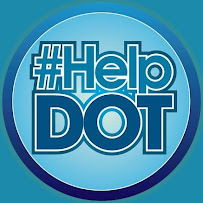 The site is in this 60 hectare property somewhere in Barrio Pag-asa in Bagac town, 150 km from Manila, or a 2½-hr drive through NLEX and SCTEX. Not sure, but I hear the Museum Foundation runs tours . The property makes for a good day trip. Check out their link here. P.S. The property was featured recently in a major daily. Here is the link. More photos can be viewed from my TravelBlog site. Enjoyed the photos, one area of the Philippines I would like to visit some day. I live in Lapu-Lapu city Mactan I am an American from Texas originally. 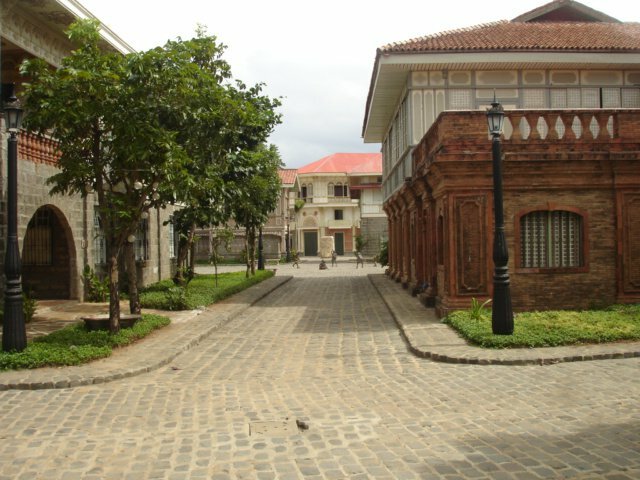 Please Visit my blog http://retiringphilippines.org about retiring in the Philippines. wow! the owner’s collections induce longings for bygone eras and customs. 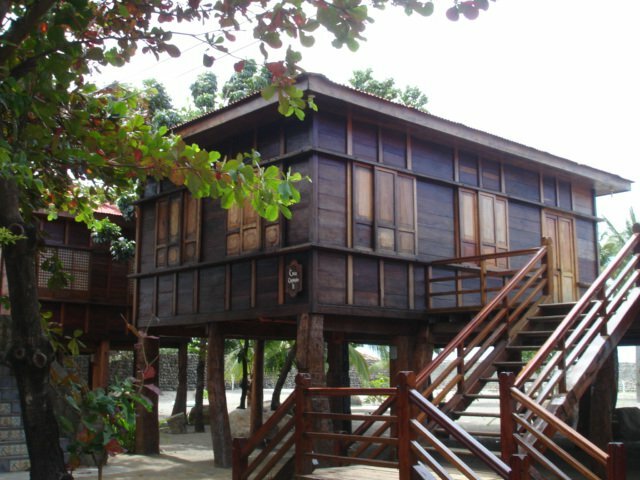 Spent a night at Casa San MIguel a month ago. Food was lousy but Acuzar certainly beats Imelda Marcos in this beautiful cherishable madness! That’s how Acuzar started his big bucks because of Imelda Marcos. She intruduced all her friends to Acuzar….Acuzar was a Marcos croonies……. Really? Hmmm, this makes things even more “complicated” and “controversial”. Where can I read more about this? Do send me the link, please. WOW! I’m impressed! I’m such a sucker for heritage conservation and architecture! My jaw dropped whilst looking at the photos! So lovely! Awesome is an understatement. 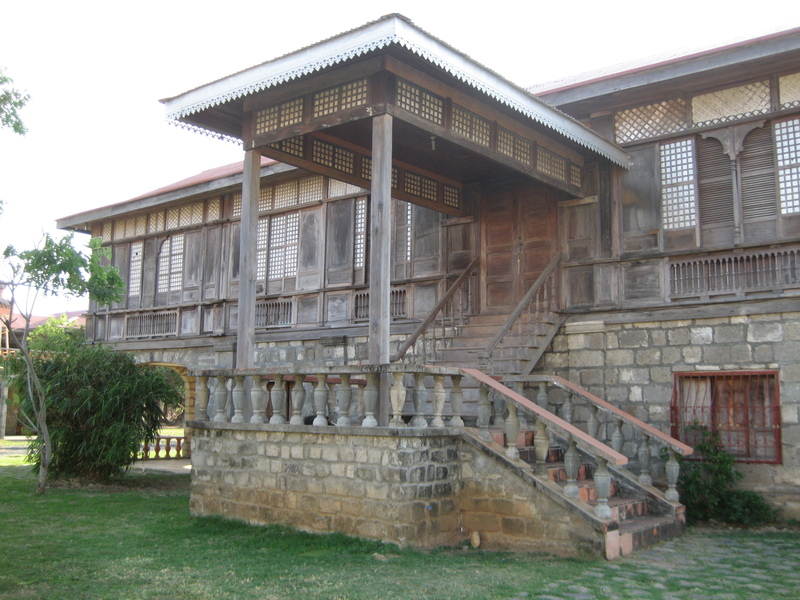 Hello Liliram, I slipped into this site of yours after a tweet from Ivan Henares re: the crumbling Rizal ancestral house in Biñan which, I believe, is to be defragmented (or have been defragmented now? Im not sure what time i am in) and then pieced again together here in this peachy theme park/estate of the Acuzars. Now I have no idea about their dynasty and have never been there in that “Ciudad.” But I’m in disbelief, for a single individual to have an idea as exorbitant as this parkland — he/she must be bloated with affluence. Stinking rich! But now I guess Miguel Galvez’s opinion up there settles my curiosity. Now my reply to Ivan is, ‘That theme park somewhere in Bataan? That is a mockery to our national heritage.’ (A blatant one.) You go figure. You Filipinos go figure. Hi, Elmer. We’re both Pinoys, right? I really hope something’s done about how best to preserve historical treasures. Either via legislation or a simple act of funding to take care of restoration work. It isn’t cheap and I can only sympathize with the owners that they’re unable to preserve the places for fellow Filipinos like you and I to appreciate. Mockery or not, money/funding is essential. That’s WHAT we should figure out to do so these owners don’t sell out to the likes of Acuzar. We can rant all we want, but I’m too old for any hostility. We all love the same country. Cheers! ” …structures uprooted from various parts within the country…” . Wow, this is something! I must say KUDOS to the owners for such donation of time, money, effort with the objective of heritage preservation. What a noble act! May your tribe increase! Never mind the critics who I guess have done nothing or have never thought of a better way to preserve our heritage for us and future generations to enjoy. Would love to see the place soon. Flora, have you visited the place yet? If not, let’s plan it! Merci! Always happy to hear from readers. And thanks for referrals! Thanks to you and your father for dropping by! sure they will be benefited from this web site. my users would definitely benefit from a lot of the information you present here. My pleasure! Enjoy your breakfast! browse your blog on my iphone during lunch break. I enjoy the information you present here and can’t wait to take a look when I get home. Hi there. Thanks for dropping by. Glad to know you enjoyed reading. Cheers!